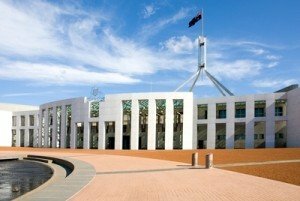 The Prime Minister says the superannuation package announced in the 2016 Budget has been “very well received”, ahead of it being debated in the Coalition party room. “Our super package has been very well received,” the PM said in an interview on ABC’s Insiders. It is being reported that the Coalition party room will debate superannuation policy today. The Treasurer has said it will likely be some weeks before draft legislation for the changes is released. In the same interview the PM said it was a “great tribute” to Kelly O’Dwyer, Minister for Revenue, and Scott Morrison, Treasurer, that the super package had been broadly supported. He went on to say that the Government was “consulting on implementation” with backbenchers, ministers and stakeholders. The Labor party has announced that it will support many of the superannuation measures, though want’s the $500,000 lifetime non-concessional contribution cap made prospective from Budget night – to be funded by a reduction in the Division 293 threshold. Labor also opposes removing the 10% rule and work test and the introduction of carry-forward concessional contributions. Malcolm Turnbull was asked if the Coalition could talk to Labor to reach a compromise. “Well, the really concerning thing about the Labor Party’s proposals on super, which Mr Shorten revealed in his speech to the Press Club, information he wasn’t prepared to disclose during the election campaign, you might recall – we had a comprehensive super policy, Mr Shorten declined to produce any details. He pocketed our savings but said he wouldn’t tell anyone what he was going to propose,” he said. In the last days of the election campaign Labor adopted the savings from superannuation changes in the 2016 Budget, but only committed to a review to determine the policies. “Let me tell you the significant changes to our policy that he proposes. Firstly, the ability to catch up for concessional contributions that have been missed because people have been out of the workplace. Massively beneficial for women, in particular. He doesn’t want a bar of that. The ability for older Australians, over 65, and under 75, to continue making concessional contributions, he doesn’t want a bar of that. He doesn’t want to give older Australians a break,” the PM said.